The time has finally come where Twitter users can convey their dissatisfaction with the 140 character limit in more detail, now that Twitter has officially verified that they have increased the character limit to 280 per Tweet! The social networking service, which was introduced in 2006, grew swiftly to become one of the most prominent social media platforms worldwide, however recent drops in growth stimulated the social media giant to make some improvements. Twitter distinguishes itself from other social media networks with its ‘microblogging’ feature, which is immensely different to equivalent social media platforms like Facebook and Google Plus. Twitter has just over 330 million users that send roughly 6,000 Tweets per second. Despite the 140 character limit that clearly defined the social networking site, Twitter disclosed on November 7 that they want every user throughout the world to ‘easily’ express themselves on Twitter. After performing a series of tests over the past several months, Twitter decided that they wanted to extend the character limit, but only where required. Countries like Japan, South Korea, and China will remain at the 140 character limit, only because there’s no necessity for an increase, as sending messages in these languages can be voiced in a short amount of characters. Languages like English on the contrary, suffer from crammed Tweets with 9% of English Tweets hitting the former 140 character limit. After running a chain of tests to targeted users, Twitter acquired valuable results and believed the 240 character limit would be advantageous for many users. Due to the fact that 9% of English users were hitting the 140 character mark, many would need to spend time cropping their Tweets to make sure they didn’t have to send several messages. Moreover, users would now have the ability to readily fit their thought and feelings into a single Tweet, so they could say what was on their mind and send them quicker than before. The question is, what influence will this have for internet marketers and SEO specialists? Here are a few changes that they can expect to see. Since Twitter broadened the character limit, users have enjoyed a higher level of responses which generated more followers. Visibly, this has been a step in the right direction, as there has been a reported higher satisfaction rate from content producers combined with more Likes, Retweets, and Mentions. The doubled character limit means that users will have smaller threads of conversations, given that they can fit more information into a single message. Users with long threads of conversations noted that it can at times be troublesome to follow and respond to. In addition, brands are enjoying the longer Tweets as it enables them to fit more comprehensive information into a single Tweet which leads to higher engagement rates. With the rise of businesses using social media as a way to deal with customer service issues, customers can now convey a problem in more detail on Twitter which is favourable for both the customer and the business, as communication is greatly enhanced. Prior to this update, many users would have looked to other social netowrks like Facebook to report customer service issues given that the character limit was too restraining. Longer Tweets means that businesses can amplify the creativity of their communication with their target market through storytelling, Q&A’s, and more engaging Twitter Chats. Companies would usually have to use other social media channels if they needed to get creative, however brands can now effectively use longer text to their advantage by connecting with their audience on a more personal level. While some users have claimed that the increase in character limit by Twitter makes them more comparable to other social media sites, the clear majority of users seem to be very content with their latest update. Nothing is concrete in social media, as making changes to stay up to date with changing user behaviour is vital for survival. For the time being though, both users and marketing specialists seem to have emerged the winner! 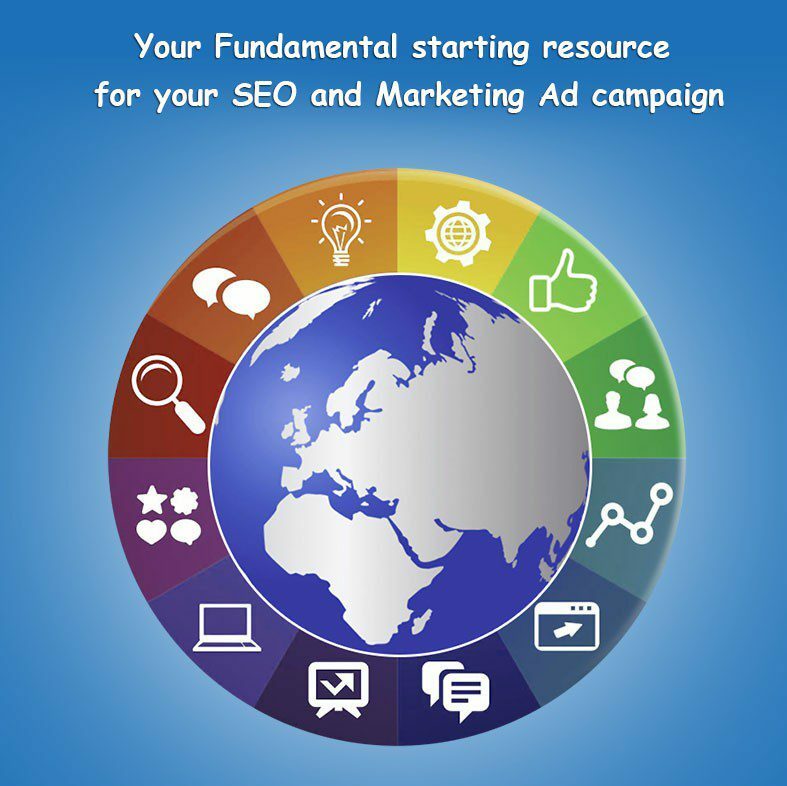 Digital Advertising Newcastle – Your Fundamental starting place for your SEO and Marketing Project. Digital Advertising in Newcastle is so important notwithstanding whether you are a local business or a large business. And if you have tried your hand at SEO and Marketing, and even if you have no idea where to start then this is a great place to start off. Over the previous ten years I have devoted a ludicrous amount of money and time figuring out the ideal way to have my websites producing income. If I had not had this sort of bad experiences I don’t think I would ever been pushed into learning this material for myself. So take note, and listen to a few of the lessons I have found out so you can get the very best start possible, especially if you are a small company owner in Newcastle, or if you are just beginning with Digital Advertising. 1.) The biggest thing that I would like to demonstrate is that your SEO Campaign will take time and you can not be hesitant. I don’t want you to be gambling away your life saving on some passing gimmick, but rather I would like to try and make you aware that you can’t succeed without commitment. – When you have your first marketing campaign. Don’t put in $2 and whine that it didn’t work. You must make a commitment. – You furthermore can’t just conduct your campaign for a day. It takes a minimum of a week to get a proper respect for an ad’s success. 2.) When you are creating content, don’t just duplicate everybody else, your Digital Advertising will certainly be far better if you be distinct and look to what is missing from your sector. The best thing you can do is to fill up the gaps in our niche business. This means that if everyone seems to be moving to blogs, produce infographics. Think outside the box, acquire video software and produce something distinct. 3.) Look to developing a calendar to monitor your content. This will help you not only remember what sort of posts or content you have made, but is essential for planning ahead. Some of my favourite ways to increase engagement is to recall over past months or years of content and improve blogs, or rediscuss ideas, and don’t simply just use this for your Digital Advertising or content creation, think outside the box, get organised and begin to see what is being successful, and what still needs improvement. 4.) Some resources that I would suggest that you consider include some excellent research tools as Google Adwords’ Keyword Planner tool and ubbersuggest if you want a little something distinct. – If you wish to produce graphics, www.canva.com is wonderful, straightforward and easy to use for all your graphics needs, it is click and drop with a lot of pre-sets. – When developing infographics, take a look https://infogr.am/ it is a quick way to produce a visual representation of data or information without needing to employ a designer or resort to using Microsoft Excel pie charts. – And also one resource for an neglected part is https://followup.cc/ it is a Gmail plugin which will assist you with scheduling and planning because it lets your take note of customers and contacts that you have to follow up with. It sends you email reminders and lets you monitor people so that you can boost your performance and guarantee a more professional image to your contacts. 5.) Essentially when it comes to gauging the success of your Digital Advertising, it can possibly be rather testing to see how your business is going compared with your competition in Newcastle or perhaps even all around the country. But the ideal way to get a real impression is to not fall into the trap of looking only at the general ‘reach’ of your content, but rather its ‘consumption. This means how many times it has been downloaded, clicked on, commented on, viewed, shared, and effectively how much revenue it could be said to have generated. You need to look at all this data, and see what the real impact has been because while there may be thousands or millions of customers taking a look at your content as a Newcastle company, if nobody engages with it, then it is a wasted effort. As the CEO of Internet Marketing Experts Newcastle I have seen some of the best, and worst attempts at Digital Advertising therefore we don’t waste any time or your effort in producing real results for SEO campaigns. To find out more contact us on 1300595013 or visit, www.internetmarketingexpertsNewcastle.com.au. Digital Advertising is about knowing the rules, and the manners in which you can actually be successful and reach the coveted number one place in Google. 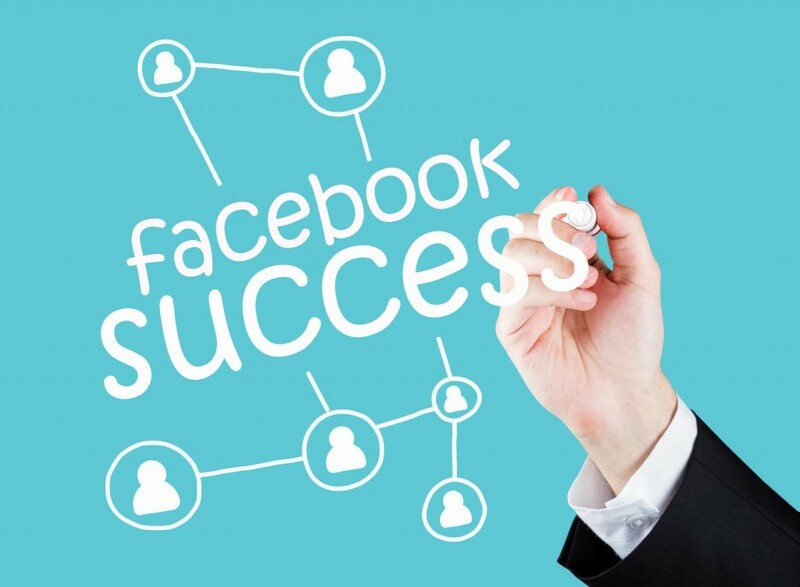 And it is no different when it comes to Facebook– there are definitely some crucial areas that you will need to concentrate on to make certain you are succeeding. Facebook for your company means nothing if you cannot use it to grow your company and your brand. You should convert ‘likes’ into email subscribers and those subscribers into paying customers. It all comes together to add extra paths of revenue, grow your brand, as well as boost your Digital Advertising effort in Newcastle. You ought to start thinking of Facebook in the right way, how do you do this? 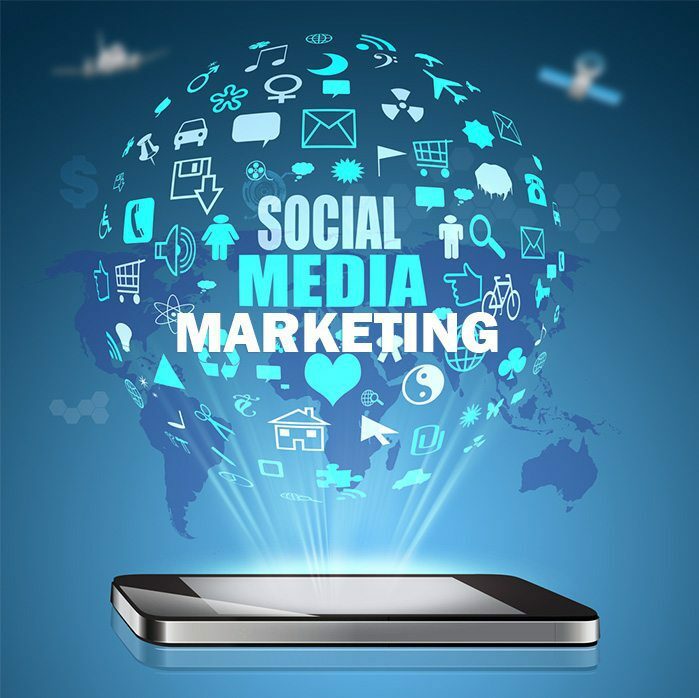 Well you should make sure you know a bit about what you are doing since Facebook for your commercial business is fundamentally different to the one you have for your private use. By having a greater knowledge and recognition for how dynamic a website and program Facebook can be, you will have the ability to use it to its greatest potential to enhance your Business and brand. This indicates that you have to focus on making sure that you show people that you are actually a person, not some evil megacorp. That you can use conversation to grow your brand, that professional content is key to actual interaction from your fans, that a call to action is particularly important to the posts you make, and that you should keep tracking what happens and concentrate on what is really working for you. If you are a small business, if you don’t have a Facebook page for your website, or even if you are looking to get the most out of it– then this is the place to begin, and these are the areas to focus on. Facebook may seem like a very casual technique to Digital Advertising, but it really has a huge affect upon the success of your business. So if you ever do approach an SEO agency, make sure it is something that they look into as well– if they don’t then they are not up-to-date with the latest SEO needs and you should keep looking. On that note, if you are looking for an Agency, or you hae come to a stage where you need that boost to your business, feel free to give us a call at Internet Marketing Experts Newcastle on 1300 595 013 or visit, www.internetmarketingexpertsNewcastle.com.au. SEO in Newcastle is something in which many business end up fretting about keywords and social networks, but take shortcuts that make themselves vulnerable. Therefore I plan to show you a couple of tips and tricks I have already picked up that can help you as a company in Newcastle so as to make sure you are not risking your security. Most of these tips are centred on WordPress given that it is the most commonly used platform, and there are many really useful ways that help make it more protected. So my first piece of advice has to do with passwords. Lots of people do not have a strong enough password because they either use the same one for every single thing, or it is something really simple. Do not use your date of birth, your dogs name, or your email name. you want letters, numbers and symbols. It may be annoying to recall but there are clever ways to think about this. One that I have seen used really well is to pick something easy to recollect, such as a date, but spell it out. For example, if your Newcastle business was opened up on the 23rd of January, perhaps think about a password that is twenty3JAN– it is still easy to remember, but far tougher to guess. Same rules concern your username– please do not have it set as ‘admin’. Next, I want you to make sure you take a look at security plug-ins. These are really important and really easy to get access to in WordPress. I would recommend that you search for these ones– I have used one myself for ages, and I have had clients that really like the other two. My final piece of security advice for you is to stay away from free themes and buy something with greater security. Most business that have safety and security issues have just gone with a pretty, free theme that is quick but has far too many areas that can be manipulated. Don’t get me wrong, a lot of themes are secure enough to use, but it isn’t always the case, so I tell people to basically invest $20 and get a nice one which is known for security. I would suggest looking at www.envato.com they have some brilliant themes, and even have some premium themes completely free as part of their monthly specials. That’s all I have to say, just 3 quick, straightforward pieces of advice that you can carry out this very day in order to save yourself pain and suffering down the track. Update your password, get a security plug-in, and get a good theme. Your SEO campaign is not going to do you any good if your web site is open to security threats and no one relies on you anymore. 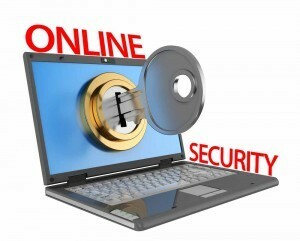 If you have any security concerns at the moment, or you want to learn more about what else you can do with SEO feel free to contact us here at Internet Marketing Experts Newcastle on 1300 595 013 or visit, www.internetmarketingexpertsNewcastle.com.au. SEO Advertising Newcastle – What will 2016 hold for local business? SEO Advertising in Newcastle is a complex matter, and as we enter 2016, people are in a way of thinking where they reflect back on the year that was 2015, and try and work out what life holds in store for them later. This is of course, challenging. You can certainly never know what is around the bend, but if you figure out the important parts of the past and look for patterns you can get a better understanding. This is particularly true for SEO. I hope to try and point out to you some of the major news that have been emerging in 2015 throughout the Newcastle SEO sector and the world. From this hopefully together we can try and figure out where to focus our efforts, this will be specifically useful if you are a local Newcastle business. This is the most significant developing trend and it is going to keep increasing in significance. This means that if you are an Newcastle business and you are looking for local clients, then this is fantastic. Kicking off with the changes from Google Pigeon, we saw an arising trend that local Newcastle searches were in fact ranking higher than business with national company headquaters, or even sites on the other side of town. Why? Because with local searches people want to know what is near them! In 2016 this is going to grow even more taking into consideration the recent Google search quality ratings guidelines http://static.googleusercontent.com/media/www.google.com/en//insidesearch/howsearchworks/assets/searchqualityevaluatorguidelines.pdf and also taking into consideration the My Business API as well as other things Google has been up to in 2015 will likely prove that they are investing more time and weighting into local search powers. So with that in mind, there are a few technological areas that will be surfacing even more in 2016, so look out for them to help with your local search efforts. There are a few technology areas which are rapidly growing abroad and are beginning to emerge in Australia and it won’t be long before they gain interest in Newcastle. Society is becoming more and more used to lugging around less money and slimmer wallets. 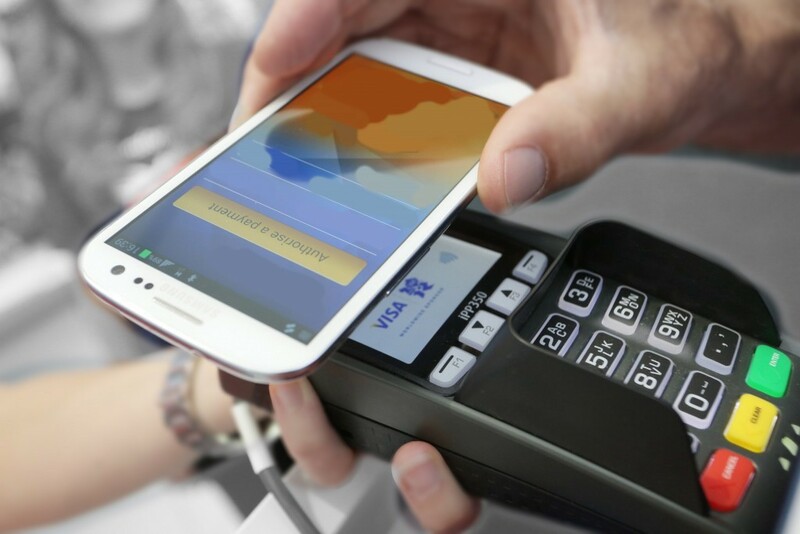 Especially with the global sweep (or swipe) of PayWave or PayPass over the past few years and other easy ‘contactless’ paying technologies we are shifting towards mobile wallets. This will mean 2 things for a local Newcastle business. 1– you need to be listening to growing patterns, and make sure you have the capability to actually let people pay– as an example, if you are yet to obtain a PayWave or RFID reader for your ship, then get one. And 2– you can start capitalizing on the mobile nature of paying. This means advertising and marketing, coupons and other fantastic offers that you can send out to people on their phones and therefore directly into their wallets. 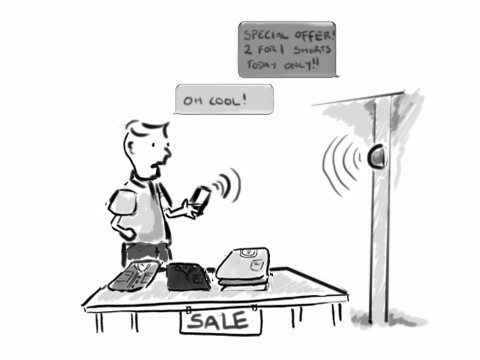 Beacons are a little something that has had growing use overseas and we are seeing them locally now too, but they are generally other ways of getting specials to people locally. It works through Bluetooth, and even a free Wi-Fi, and it just simply provides information or a discount to people who link or sign up to the Beacon. This means that people at your Newcastle store, or even roaming past the area will be given more motivation to actually enter the store and make a purchase. It’s an ingenious advertising and marketing tool that will continue to grow in 2016, but I wouldn’t be surprised if technology and innovation changes this even further throughout the year. We also will see even better use of apps. such as Snapchat and Periscope for original ways such as advertising. This has been seen in America with national projects run by Dunkin’ Donuts and Taco Bell making use of these apps. It is amazing how men and women can keep reinventing ways to get their business out there, and the same can possibly be done for your local company in Newcastle. Be creative and even searching for what other individuals have done, especially when it comes to social media– if you see something you like, remember of it and find a way to integrate a related idea into you own ad campaign. My concluding pieces of parting advice– and these are things that you should do right away, today– would be to sign up to an all new Social Media account. Facebook, Google +, Instagram, Pinterest. Choose one you don’t have for your business yet and start a new campaign to reach a new audience. As you reach new people, you will grow your credibility at a local Newcastle level, and also boost your authority and possibly even become an useful resource for people. This all goes towards your local SEO efforts which are key in 2016. So you will most likely discover that the future actually looks great for Local businesses with trends and technology promoting even greater interaction at a ‘community’ level. This is great for Newcastle businesses, and so I hope that you are as thrilled as I am. Keeping that in mind, if you are looking for more SEO advice, or are aiming to enhance your SEO efforts, then contact Internet Marketing Experts Newcastle on 1300 595 013 or visit, www.internetmarketingexpertsNewcastle.com.au.